"Born to Work" is now available for stream and download! We are thrilled to be opening for Hollerado June 24th. Tickets on sale now! This is our last postcard contest for Sulky Jr. Head over to Facebook or Twitter to enter! Here’s the second-last postcard. Give it a fave or like to be entered to win our new album Sulky Jr! Like or favourite this lyric card for a chance to win Sulky Jr! This is our fifth lyric postcard. Each like or fave it gets is an entry to win a copy of Sulky Jr and the postcard! In the meantime, our band camp page is streaming each featured song for the duration of the contest for you listening pleasure. 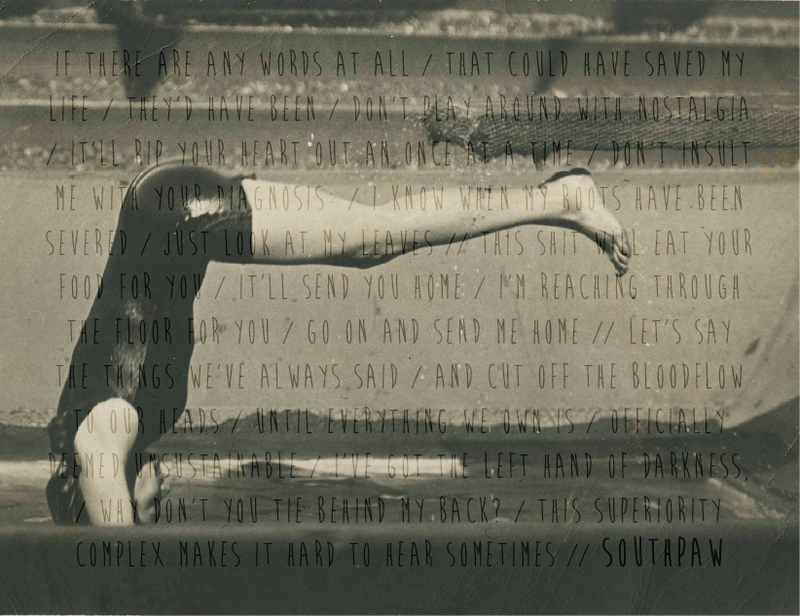 Here’s the third lyric postcard. Each like or fave it gets is an entry to win a copy of Sulky Jr and the postcard! A video in which we talk about nothing for a few minutes then play one of our newest songs.